A new report suggests the City of Waterloo has more student housing than it needs around its campuses and that surplus is set to grow because student enrolment is dropping. 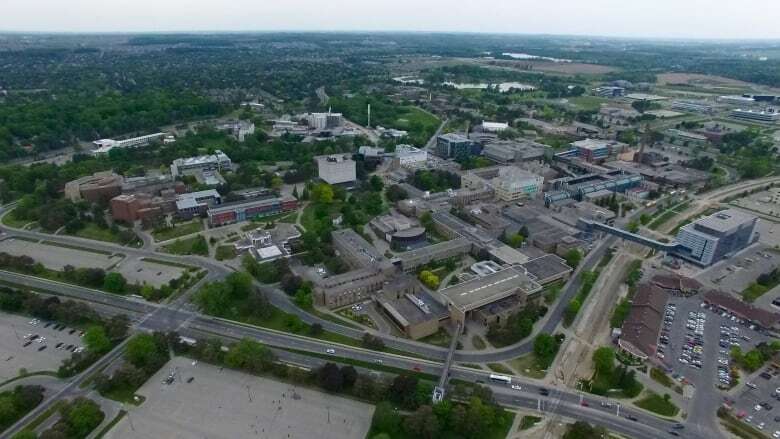 A new report suggests the City of Waterloo has more student housing than it needs around its campuses and that surplus is set to grow faster than student enrolment at the city's two universities. Waterloo's Town and Gown committee estimates there's currently a surplus of 1,200 beds for student housing. Chris Read, the associate provost of students at the University of Waterloo and the chair of the Town and Gown committee, said he expects that the surplus will only get bigger. "Student accommodation is tracking at a much faster rate than enrolment is increasing. The universities hope to maintain, if not grow their enrolments very moderately," said Read. "But as you see from the numbers, accommodations that are coming online even in the next couple of years, they're trending at a much more rapid rate." The committee's report on student housing focuses on a catchment area that's roughly bounded by Columbia Street West on the north side, Weber Street North on the east side, Erb Street West to the south, and Fischer-Hallman Road and Westmount Road on the west side. Read says the committee will share its findings with local developers, because the issue will become more crucial over time. "Every private developer who's developing student accommodations thinks they can do it better than the previous person, or than the person next door to them and so I do think we'll continue to see development, but we are very concerned as the numbers showed today, that very soon we're going to have too much," said Read. The committee estimates more than 7,000 new beds will become available in the coming years, both on and off-campus.